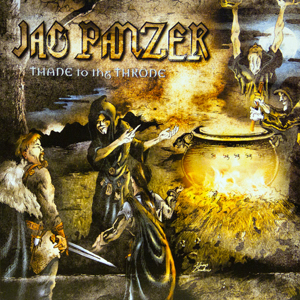 Thane to the Throne was Jag Panzer’s first concept album. The band wrote the album as a soundtrack to Conklin’s lyrical adaption of the classic story MacBeth. Members of The Moscow String Quartet appeared on the album performing the Chris Broderick composed ‘The Prophecies [Fugue in D minor]’.